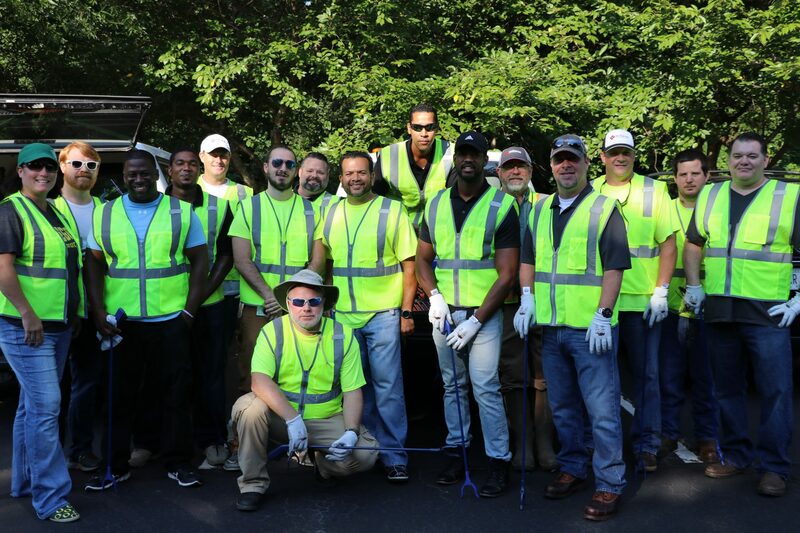 NetPlanner Systems, Inc., a leading provider of IT-based solutions in the Southeast, recently adopted a section of roadway as part of the Gwinnett Adopt-A-Road program, sponsored by Gwinnett Clean and Beautiful and the Gwinnett Department of Transportation. This litter prevention program enables citizens to show their pride in Gwinnett and safely reduce the amount of unsightly trash and illegal signage alongside county roadways. NetPlanner employees are committed to helping keep the roadway clean from the intersection of Medlock Bridge Road and Peachtree Industrial Boulevard to the intersection of South Old Peachtree Road and Peachtree Industrial Boulevard in Norcross. Cleanup events, which are held a minimum of four times annually, begin with safety meetings to review guidelines and procedures to keep participants safe. After each cleanup, NetPlanner sponsors a cookout to recognize employees for their efforts and to celebrate the company’s strong sense of teamwork. Visit the Adopt-A-Road page on the Gwinnett Clean & Beautiful website to learn more about this vital local program.